Posted on December 4, 2015 September 21, 2018 by Sue M. by Sue M.
Looking for that perfect gift for your favorite baby, pregnant woman, or older child? 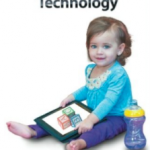 Here’s a year-end review of our favorite Baby Tech items from 2015. 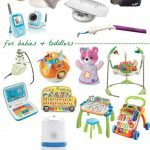 Posted on October 19, 2015 September 21, 2018 by Sue M. by Sue M.
Amazon.com has just added a slew of educational videos for babies to its video streaming service. Geared toward ages 6 months to 2 years, the videos cover everything from vocabulary to shapes to numbers to movement to sounds. Pregnant? Here’s an app for that. Posted on October 9, 2015 September 21, 2018 by Sue M. by Sue M.
Winkpass Creation’s iPregnant app for iOS (iPhone and iPad) is a pregancy tracker chock-full of features. 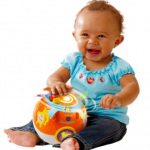 Posted on September 30, 2015 September 21, 2018 by Sue M. by Sue M.
VTech’s Move and Crawl Baby Ball, currently priced at $15 with free shipping for Amazon Prime members, is a learning toy that also provides exercise for your little one. Posted on September 14, 2015 September 21, 2018 by Sue M. by Sue M.